After nearly 30 hours of travel, fellow YASCer Sarah Lowery and I landed safely in Hong Kong where were met with open arms by former YASCer Grace Flint and my supervisor, the Rev. Stephen Miller. It was 11:30 pm when I arrived at my home, the Mariners' Club, and I quickly went to bed (or tried to) after Skyping with my parents. Physically, I was exhausted, however the jet lag simply refused to let my brain shut off. I finally passed out around 4 am only to wake up at 7 am without an alarm. As frustrating as it was, I took the opportunity to do some early morning exploring around my neighborhood. 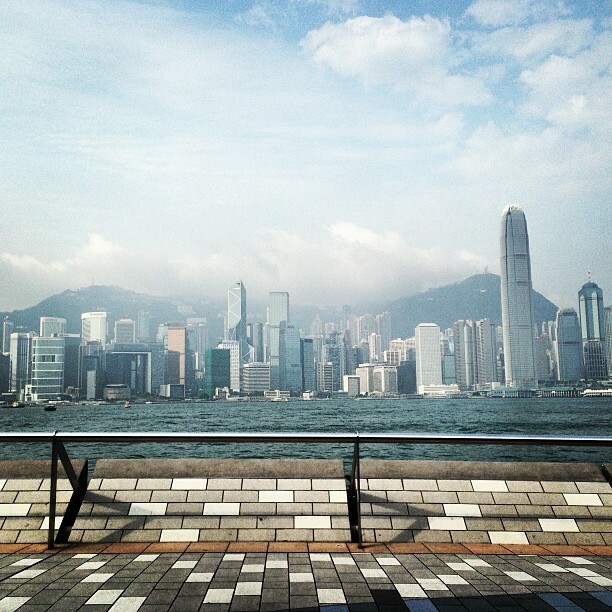 That's when I fell in love with the Hong Kong skyline. The Hong Kong skyline as seen from the Avenue of Stars in Tsim Sha Tsui. I took this picture on my first morning in the city. I live about five minutes from a place called the Avenue of Stars. It's a mix of the Hollywood Boulevard in Los Angeles and the battery in Charleston, South Carolina. Then add the Manhattan Skyline (on steroids). Simply put it is breathtaking, stunning, and completely unique. My first few days here in the city have been amazing. Everything here is over the top. The skyline is massive, the streets are packed, the temperature is scorching, and the generosity and kindness is overwhelming. People are so nice here, especially the people at my work, The Mariners' Club. 1. I have started training for my job with the Rev. Stephen Miller and so far we have covered the basics of the seafaring industry. I have learned a lot about the demanding work of seafarers, and the loneliness and mistreatment that plagues the people in this industry. It is amazing that despite the fact that 95% of world trade takes place on the seas, I never gave one thought about the driving force behind all that trade. Every material good we have is brought to us by the shipping industry and seafarers. The laptop, tablet or phone that you are reading this blogpost on, the clothes you are currently wearing, the swanky glass of Italian red wine you are currently drinking are all courtesy of the shipping industry. All of these goods are brought to us from every corner of the earth, and done so by a few powerful shipping companies. These companies try to hire the cheapest possible crew with the intent of moving freight as fast as possible. The result? Ships of seafarers that spend 6-12 months at sea, spending only an afternoon or evening in the handful of ports that they dock into. Take into account that these seafarers often have wives and children, and very little time to communicate with them. It's a recipe for depression, but that's where my organization comes in. I am excited to start work tomorrow, and I think that over the course of the next year I will be able to make life a little easier for a lot of people. 2. Last night I rode the Star Ferry from Hong Kong to Tsim Sha Tsui instead of taking the subway under Victoria Harbour. It was definitely one of the highlights of my LIFE for a multitude of reasons. Not only was it a very powerful "God moment", but it was also a moment when I realized that I was right where I need to be - where God intended me to be so that I could both grow spiritually and give much-needed aid those working on the sea. The view of the city at night was unlike anything I had ever seen in my life, as my commute lined up perfectly with the Symphony of Lights - the nightly light show that takes place on the canvas of skyscrapers in Hong Kong and Kowloon. I took photos that don't do this event justice, however I did snap this shot from the back of the vessel that can give you a small sense of its beauty. Standing on the back of the ferry, I felt a wave of calm wash over me as I watched the lights bounce and burst across the city. I felt a part of something so much bigger than me. I felt like I was home. 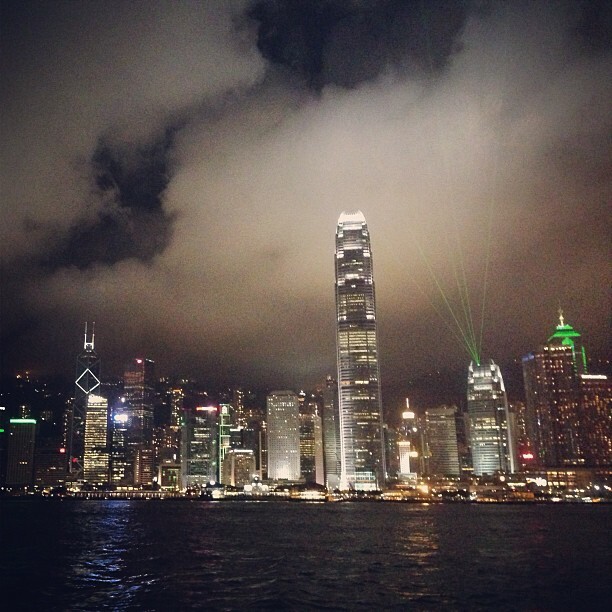 The view of Hong Kong from the Star Ferry on Victoria Harbour. 3. 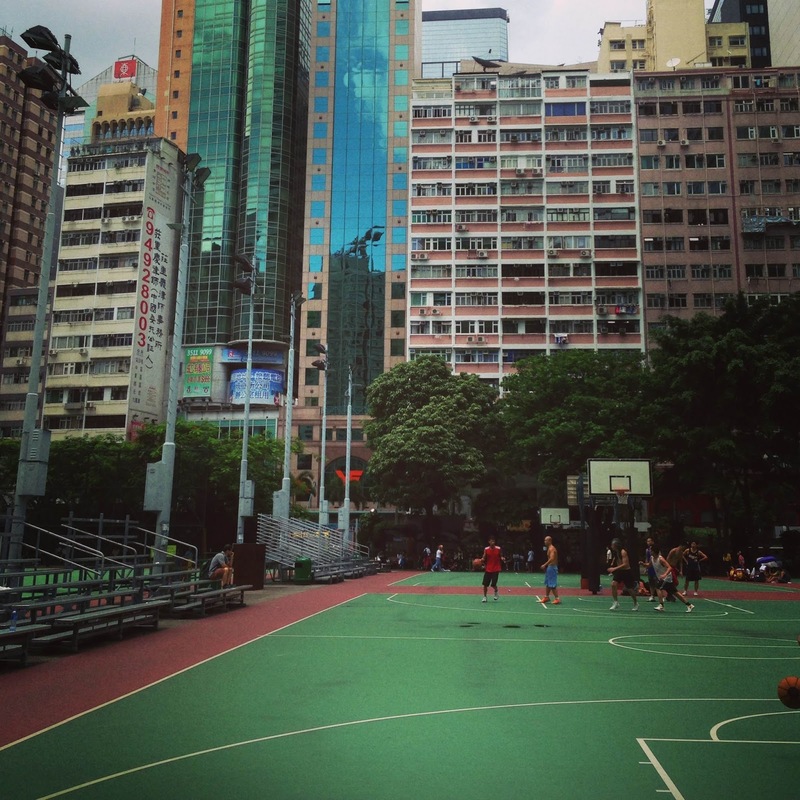 Today, after eucharist at St. Paul's Chapel, I played basketball at a place called Southorn Playground in Wan Chai. The playground is a large set of courts tucked away in the city, surrounded by towering skyscrapers. Playing basketball has always been a release for me. I wouldn't say that I am very good at it, but it is a game that I love to play. It was really interesting to see how the game is played here in Hong Kong: a city 8,000 miles away from the place where I first picked it up. What are the differences? Not much really. The Chinese players I played against passed the ball around a lot more than most Americans. Oh, and it was 90 degrees with 90 percent humidity outside. Other than that, it was practically the same ball as back home. Ballin' among the skyscrapers of Hong Kong. Some things (like faith) are universal, and it turns out Basketball is one of those things. The hoop is always 10 feet high and 15 feet back from the baseline. Selfish play is always despised, while crisp passes and solid defense elicits applause. Ticky-tack foul calls are abhorred the world over. It was comforting to find the game of my childhood alive and well in this big beautiful city. I will definitely be returning to Wan Chai soon. Love it, Will! Glad to see you out there ballin, figuratively and literally. Hey Will! Ola from a last year YASC-er still in Brazil! Glad you are in Hong Kong (say hi to Grace for me! :) ) and I hope you have an awesome year! 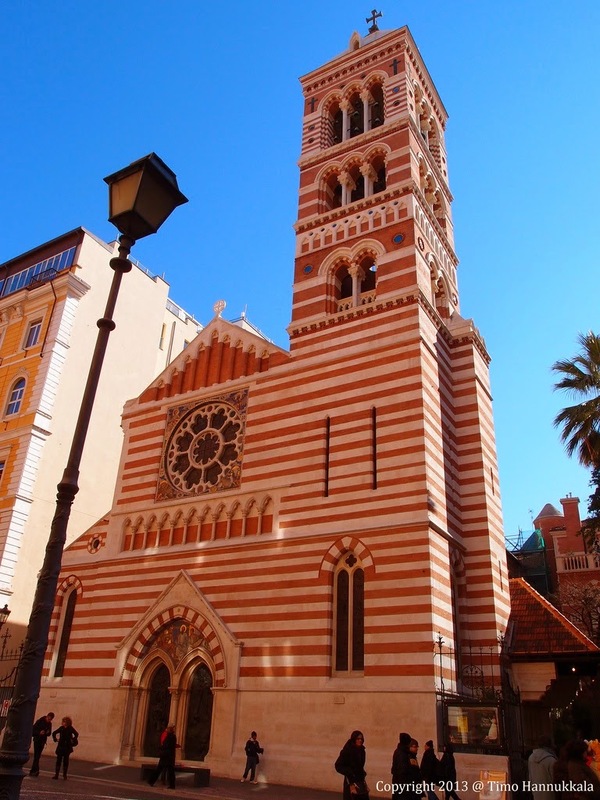 I've already added your blog to my list of ones to keep an eye on, and I am so excited you're working with Mission to Seafarers -- I'm friends with the guy in my hometown of Seattle who works with them there, and I just recently learned that we have a couple of sites in Brazil where MtS is active. We just had the Secretary General of the Anglican Communion visit the Province, and he checked out an MtS site in the northeast of the country. I am glad you're settling in so well -- it reminds me of when I got to Brazil 7 months ago -- Sao Paulo is huge and massive, and yet I felt pretty much right at home. Sounds amazing so far! Will be keeping up with your posts. Love your writing and your photos!